Getting to sleep in as late as you want is one of the best things about the weekends! Today I slept in until about 10: 30 am, which was much later than I thought, and woke up to a wonderfully sweet aroma of my my mom cooking in the kitchen. I had no clue what she was making, but the smell was so sweet and inviting, first thing that came to my mind was “why is she making cookies at 10:30 in the morning”? 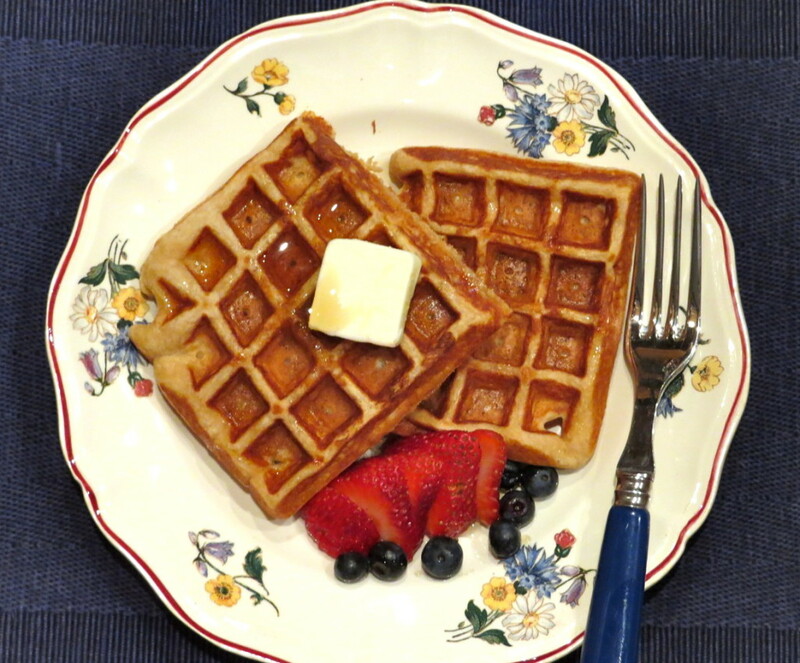 The recipe for these waffles is adapted from 100 Days of Real Food, in which Lisa, the blogger, cuts out processed foods and replace it with REAL food. Processed food is terribly bad for you, so the less of it you can eat, the better. 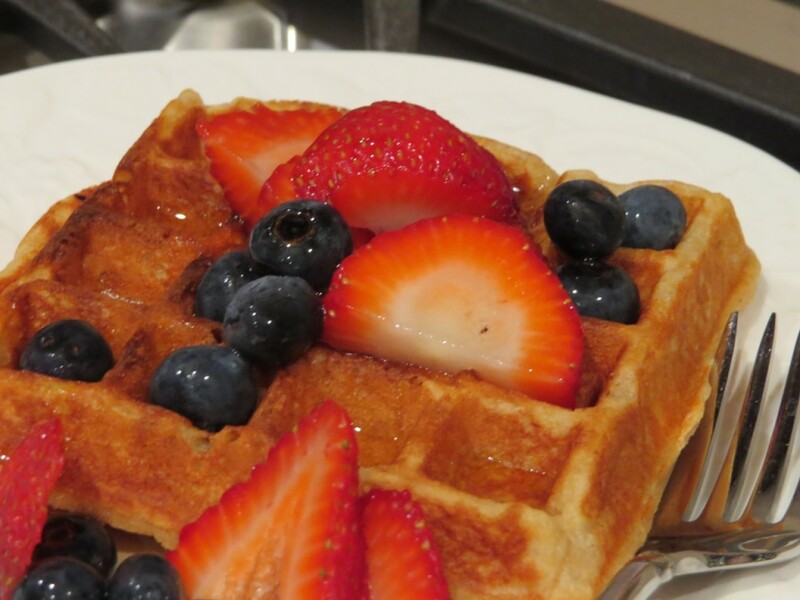 The ingredient list is simple for this healthy waffle recipe, and makes for a quick and easy breakfast. The original recipe calls for 1 3/4 cups of milk, but my mom didn’t have enough, so she used half buttermilk and half skim milk. We love the addition of buttermilk, as it gives the waffles a richer taste. Once you gather your ingredients, simply whisk them together in a large bowl and ladle the batter into a hot waffle iron. 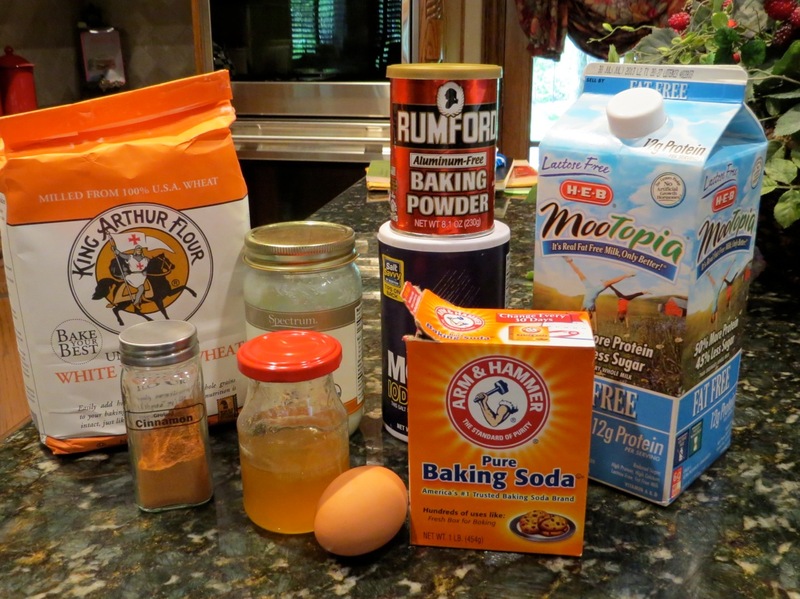 Mix together the eggs, milk, honey, oil, honey, cinnamon and baking soda. Add in flour, baking powder and salt. 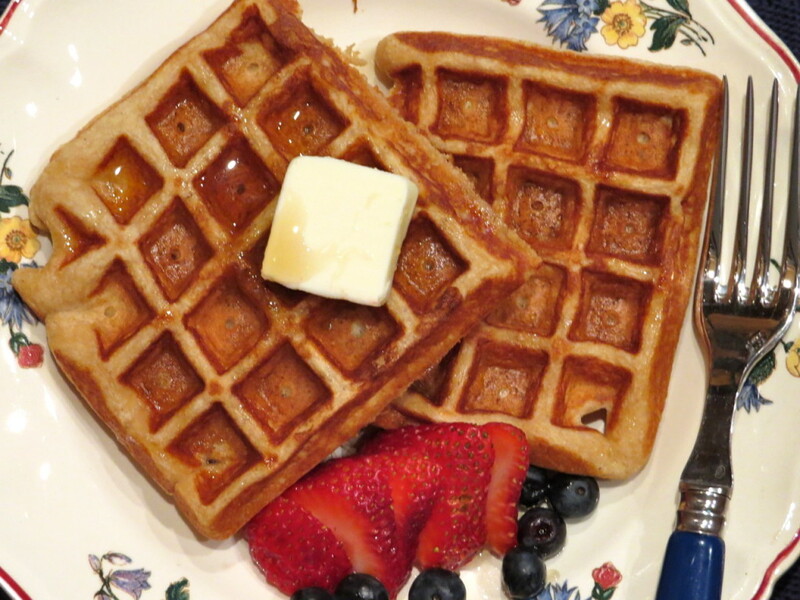 I like using a Belgian waffle iron (it has deeper and wider pockets) better than a traditional waffle iron. For some reason, Belgian waffles just taste better….kind of like how ice cream tastes better in a pretty bowl, or yogurt tastes better eaten with a plastic spoon instead of a metal spoon. Anyways, within 10 minutes you’ve got a hot, fresh, healthy and NON-PROCESSED breakfast ready to enjoy. Top with a pat of butter, fresh fruit and maple syrup. Top these with a pat of butter, maple syrup and fresh berries for a hearty meal. I must say, these are the BEST waffles I’ve ever eaten! They taste better than any hotel breakfast or diner that I’ve ever been to. 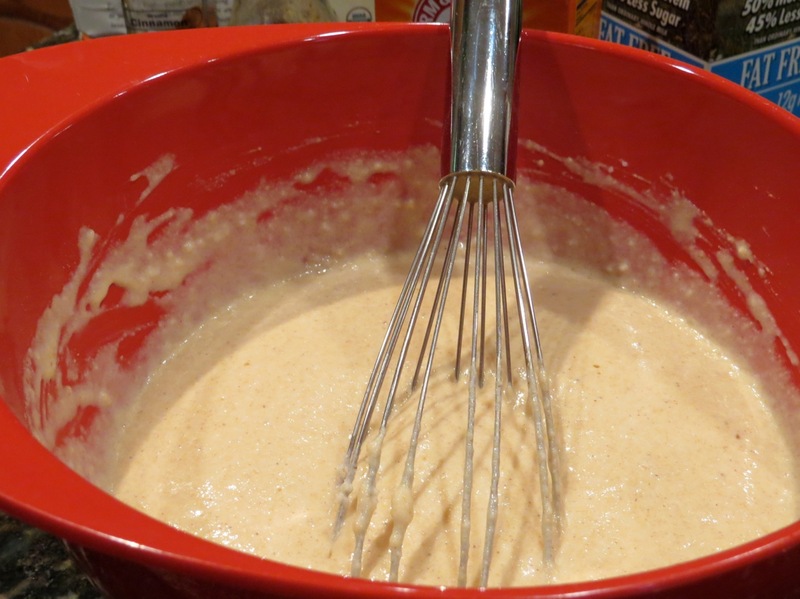 In a large mixing bowl whisk together the eggs, milks, oil, honey, cinnamon and baking soda until well combined. Add in the flour, baking powder, and salt and whisk together until the large lumps disappear. 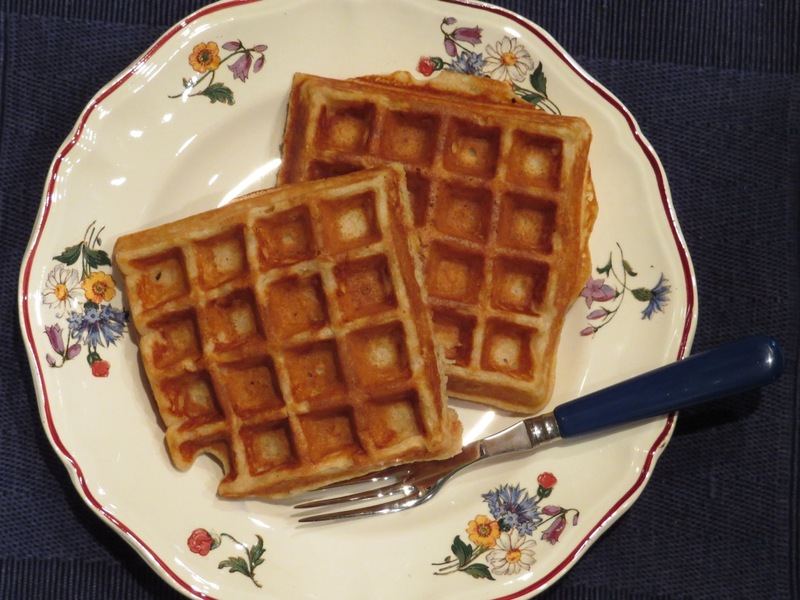 When the waffle iron is hot, dab it with a little butter and then ladle a scant ½ cup of batter (depending on the size of your waffle iron) onto the center of the iron. Follow the instructions that came with your waffle maker to know how long it should be cooked (ours takes about 3-4 minutes each). Keep waffles warm until you finish cooking all of them. Top with pure maple syrup and fresh fruit. 2 Responses to "Whole Wheat Waffles"